Propane is available year round for standard gas grill tanks to 100# commercial tanks. We can also fill campers. Our Ice chest is a walk in which holds 6 full pallets of ice including 30# cubes, 5# cubes and 10# blocks. 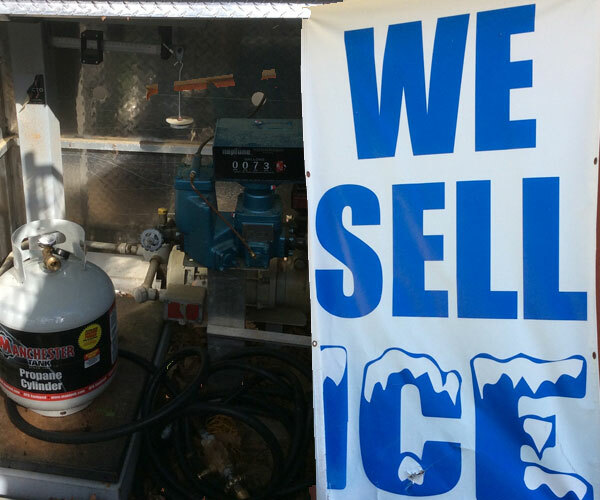 No one stocks as much ice as we do year round. We are a small family run business that has been serving the South Shore for over 40 years and hope to continue doing so for many more. We hope to see you in the store soon and Thank You for your business!